The US government is inching closer to banning so-called hate speech. 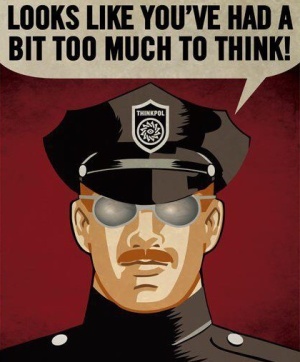 The Washington Free Beacon reports, the National Science Foundation (NSF), a federal agency, will spend nearly $1 million in taxpayer money to create an internet database targeting “false and misleading ideas,” “suspicious memes,” and “hate speech” on Twitter. Though the database will have no authority immediately, it reflects the federal government’s priority and foreshadows passage of a hate speech ban similar to the UK’s Public Order Act 1986. Ideas, including those concerning race, should not be banned in free society. I subscribe to the view New York Governor Thomas Dewey expressed during his 1948 presidential campaign. 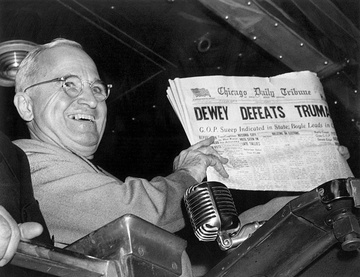 Dewey, best known as the subject in the unfortunate headline Harry Truman proudly brandished in an iconic photo, had a little-known, yet historic radio debate ahead of the 1948 Oregon GOP Primary.